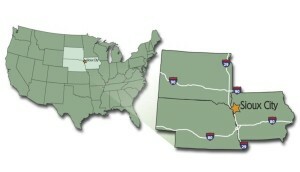 The tri-state region of Iowa, Nebraska and South Dakota has much to offer – abundant career opportunities, affordable cost of living, quality education systems, safe communities, and a wide variety of amenities and recreation opportunities. 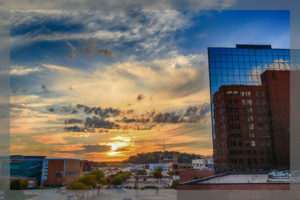 The Siouxland region is an ideal area to live, work and play. Below are a variety of resources to help make your job search simpler and more productive. 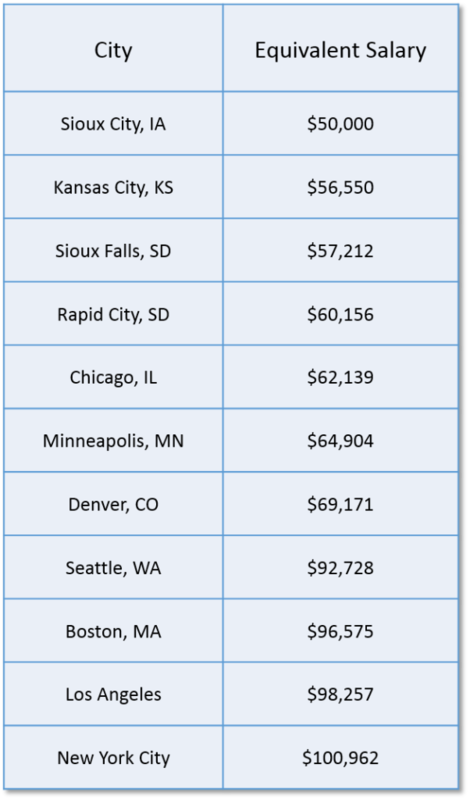 The following compares a salary of $50,000 in Sioux City with the equivalent salary needed in other cities to have a comparable standard of living. 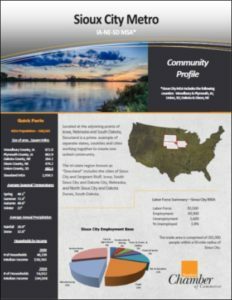 For more demographic information for the Sioux City Metro click on the “Community Profile” below to the right. 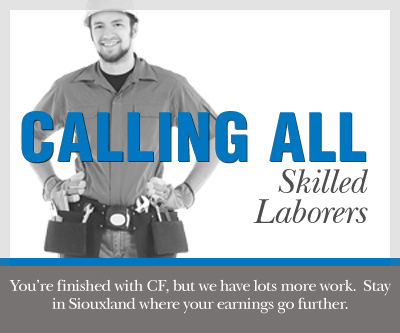 Below is a sampling of the many Siouxland companies looking to hire skilled labor professionals. Visit mysiouxcityjobs.com for a comprehensive list of available opportunities or some of the other regional job sites listed below. Brown Wegher Construction Sabre Industries, Inc.
CW Suter Services Sioux City Foundry Co.